It's like applique, but puffy? Re: What's the name for this kind of quilting? 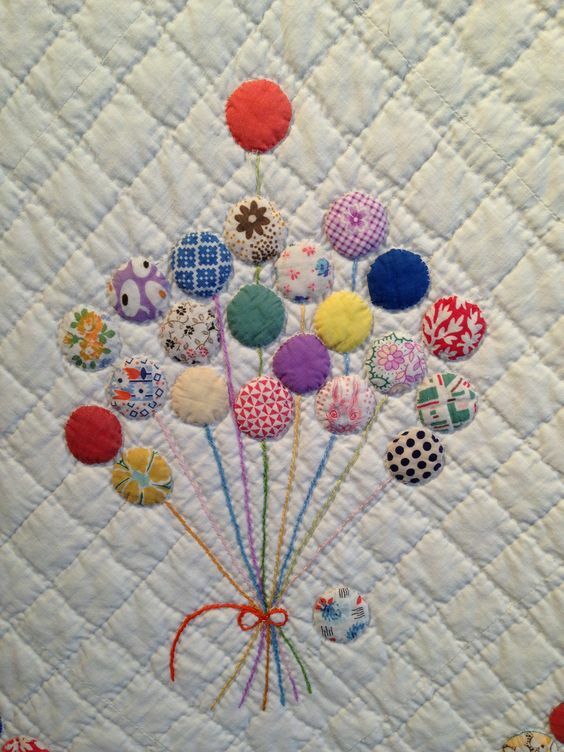 The little balloons are appliqued. Did you mean the actual quilting? They must have used a puffier batting than cotton batting which produces a flatter look. It was either a combo cotton and polyester or my personal favorite, wool? Puffy Applique Quilting. PAQ for those "in the know"
But how do the balloons get puffy? Are they appliqued after the actual grid-pattern quilting is done? Either they appear puffy because the quilting around the edge of each balloon makes it look that way (which is the way I'm leaning) or a little extra batting was tucked underneath each balloon.